SOLROC Group provides an integrated and innovative approach to environmental assessment, risk management, and the resolution of environmental problems. 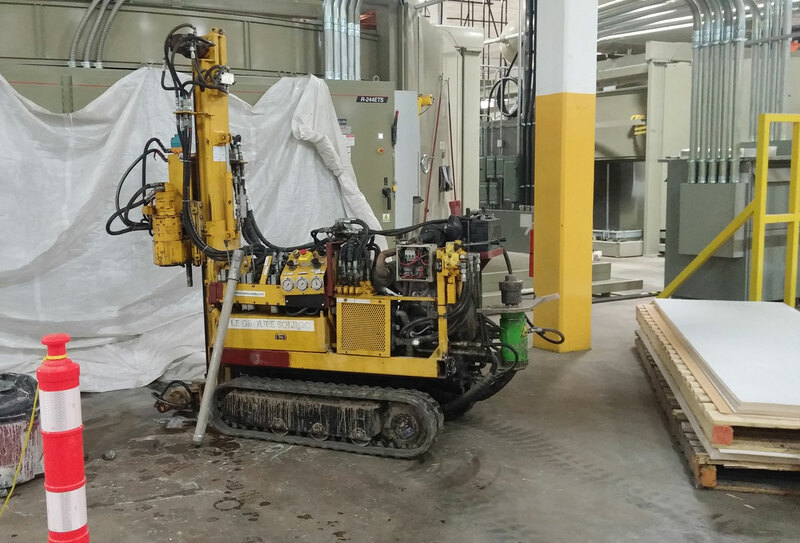 Drilling inside a building using a Sedidrill crawler drill. A Phase I Environmental Site Assessment, according to the CSA Z768-01 CSA standard, involves a historical research covering all current and past activities of a property. This study is typically performed during real estate transactions or with mortgage refinancing. A Phase II Environmental Site Assessment includes surveying for sampling and chemical analysis of soil and/or groundwater. This study is performed when a potential risk of contamination to the study site is discovered during the Phase I study. Should contaminants be discovered on the study site during the Phase II study, a Phase III Environmental Site Assessment will be performed. This is a more comprehensive evaluation which will establish the limits of the contamination with more certainty and which will determine the volume of contaminated materials. When a property is subject to the Environment Quality Act due to a risky activity currently or previously operated on a site, environmental studies are required to be certified by one of our certified experts which will then be submitted to MDDELCC. 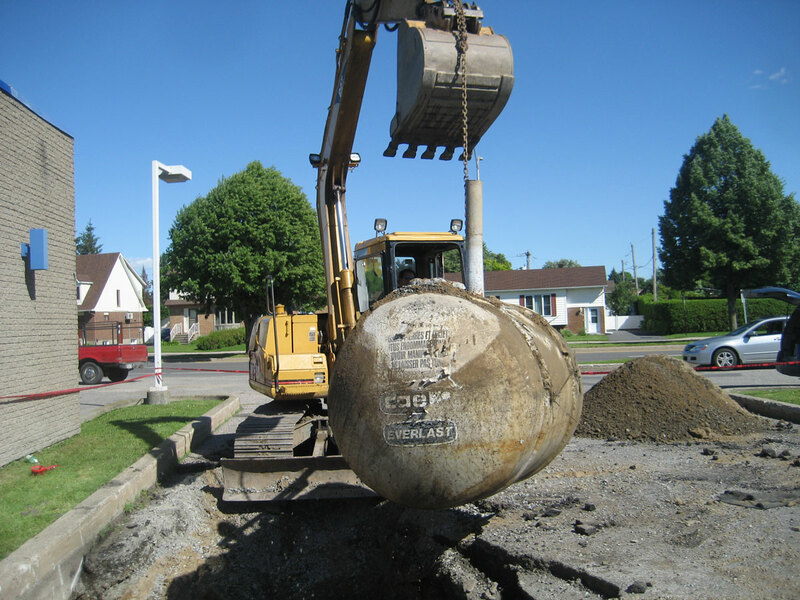 Removal of an underground tank. Solroc performs a hydrogeological study used to evaluate the hydrogeological properties of a site and a study of the deep water table (flow direction, water source). This type of study allows us to assess the risk of contaminant migration, plan the supply of drinking water, to determine the method of treatment for waste water and develop public services for unserved communities. 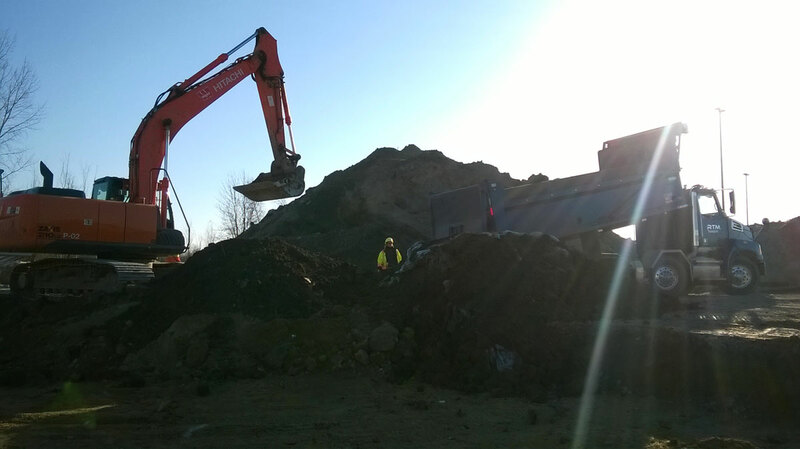 Excavation of contaminated soil and loading into a truck for off-site disposal at an authorized center. SOLROC will request, on behalf of its industrial clients, permits and certificates of environmental authorization from governmental agencies. SOLROC will conduct environmental audits for industrial properties, define the conditions of factory processes, and assess compliance processes with laws and regulations.